As you saw in our public engagement notes on Tuesday, this was a busy week around the city, so we’ve got lots to talk about. 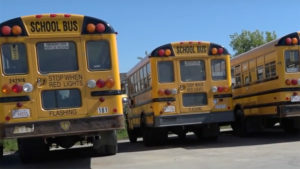 The Edmonton Public School Board voted to finally just close the deal with the Edmonton Catholic School District for shared transportation of students. The deal has been kicked around for years, and could save millions in education dollars. But now the Catholic trustees don’t like how they’ve been treated by some folks on the public side and that appears to be holding up the deal. Lucky for us (and students who could benefit from millions more spent in the classroom) the education minister could force the two school boards to work together. Both Edmonton school boards are finding ways to work with more students with autism, and doing more to keep them in classrooms with their peers. The new school named for former city councillor Michael Phair – Edmonton’s first openly gay councillor – had its grand opening this week. 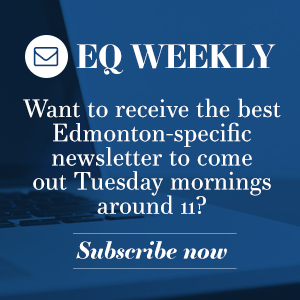 It was a very busy week for transportation news in Edmonton, at the city council meeting and at a number of open houses for various projects. The big item right now is LRT, particularly the Valley Line West extension from the downtown past West Edmonton Mall. City council voted to get some details on how expensive it would be to switch the line to bus rapid transit (BRT) even though most councillors won’t vote to make the switch just months ahead of signing contracts to start the work. This comes about ten years after city council decided LRT was the best bet, but we did just have an election and this was a talking point for some folks so we’ll have to wait and see if we get the same results pointing us at LRT (which we almost certainly will). We also got a look at the latest plans for the Metro Line’s eventual continuation northwest from NAIT and the new Blatchford neighbourhood. It might see more lowering of streets too (but keeping the LRT on the road), in trenches through busy intersections. 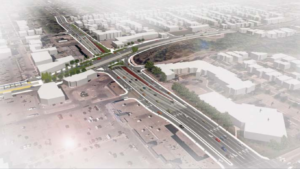 The other major transportation item at an open house this week was the proposed Terwillegar Freeway, between the Whitemud and Henday. Because if we’ve learned anything, it’s that freeways always reduce traffic congestion. Also… Councillor Andrew Knack wants the City’s administration to look into “beg buttons”, where people walking have to push the crossing button to get a signal, even when traffic lights change for people driving. Don’t you just hate waiting at those? We’re getting our first look at proposed changes to Jasper Avenue, between 96 and 109 Streets. The mayor also wants to see if children aged 12 and under could ride transit for free. Wrestling is allowed again, after a change to the moratorium on combative sports. I feel like council is playing a bit loose with the fact that pro wrestling has planned outcomes (instead of boxing and MMA fights being straight competitions). If this is about protecting people during violent sporting events, the rules probably still apply no matter who wins? Some councillors are shocked – shocked! – that you would think they’re just doing things for the Katz Group as they look to change the zoning rules for liquor stores downtown to allow the Katz Group to open up a shop in the arena district. (Currently liquor stores need to be at least 500 metres in distance from one another and there’s one right across the street.) It’s a good thing councillors were already going to review this completely on their own because they totally came up with the idea without prompting. Councillors know that you want in on the FIFA World Cup bid and they’ll be happy to put millions of dollars into that. You’re welcome! Edmonton city councillors can now take parental leave. And St. Joachim Church has been designated a historic resource. Edmonton’s pesticide use is not clear. Strathcona County is adjusting its land-use bylaw to make room for more marijuana production. It sounds like the Edmonton Police Service (EPS) needs to re-think its response times and how it’s prioritizing calls for service, because it’s not hitting its own targets enough. The other option is more money and more officers, but I guess we’ll see how the police commission and city council respond. Emergency calls where people are at risk or crimes are in progress are still seeing good results, but less urgent calls are taking up to three days for police to respond to. EPS wants people to report more of the non-urgent stuff through its website or app. As Fort Saskatchewan grows, its council is looking at how it gives money to non-profit groups. St. Albert is considering some new zoning for housing, as it tries to increase density to meet targets set out by the Metro Region Board. Edmonton will soon be home to a new clinic specializing in mental health and medical services for the transgender community. We’ve been a longtime host of such services, with one of the few doctors to work with patients from transgender communities, but the Gender Health Program looks to be larger and will really set Edmonton up as a hub in the west. The Edmonton Ski Club is going to be open this winter after all (some of the time, anyway). 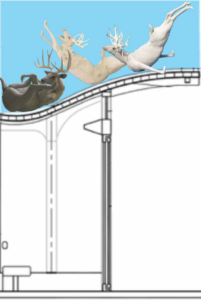 Moose will be sliding on the Avonmore LRT station roof in Paul Freeman’s design. The public art that will adorn LRT stations along the Valley Line southeast (downtown to Mill Woods) has been unveiled. You can see the art and get more details in this PDF. In an unsurprising move, the CEO of Northlands is leaving as the organization sees its fortunes dwindle. Without horse racing, the rodeo, the convention centre and the arena, it’s hardly the place it was a few years ago. Strathcona County is going to officially pass the 100,000 people mark in population when it does its next census. The U of A Student’s Union is campaigning to get more women to run in the next elections. City council’s Executive Committee meets Monday, at 9:30 a.m. You can see the agenda online. 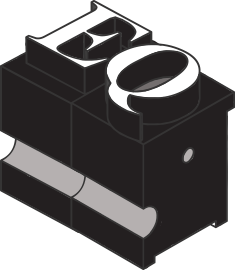 Items include looking at a district energy system for the downtown, a review of the Imagine Jasper Avenue project ahead of the western portion of the street’s redevelopment, continued work to create an Indigenous healing site in the river valley (near Fort Edmonton), safety precautions around the City Hall fountain and a private report on procurement for the Valley Line West. The meeting will also stream live.